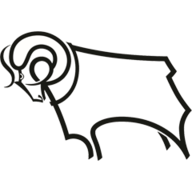 Derby moved to the top of the Sky Bet Championship with a 2-0 win against an out-of-form Fulham as they produced a ruthless performance. 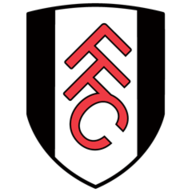 Tim Ream's own goal seven minutes into the second half and Jacob Butterfield's late second settled a hard-fought contest as Fulham made it nine matches without a win. The visitors had fought hard to keep Derby at bay and had chances of their own to breach the home defence, notably through Ross McCormack, who shot wide, and substitute Matt Smith who headed over. However, Ream's untimely deflection and Butterfield's calm finish pushed Fulham closer to the relegation places and allowed the Rams to leapfrog Middlesbrough, whose match at Blackburn was postponed. A record 31,000 home fans would have expected a team who put four past Bristol City in their last match at the iPro Stadium to punish a Fulham team with the worst defensive record in the Championship. But despite their patient probing it was the visitors who came closest to taking an early lead when McCormack - the equal top scorer in the division - slipped a through-ball between the Derby defence for Alex Kacaniklic to run on to from the right. However, the winger's shot was tame and Lee Grant made an easy save. Tom Ince had scored four times in his last two matches, including a hat-trick against Bristol City, and he curled wide from 20 yards before missing the best chance of the half. The ball fell invitingly to the winger from a fortuitous ricochet, but bearing down on Andy Lonergan's goal he could only lift the ball over both the goalkeeper and the bar to the disappointment of the home fans, who had seen their high-flying side frustrated by a determined Fulham back line. The breakthrough, though, came early in the second half as Johnny Russell burst past the visitors' defence and hit a cross from the left which bounced off Ream six yards out and went into the net. McCormack looked to respond for Fulham but after skipping a couple of challenges on the edge of the Derby area he failed to add to his 12 league goals as he shot wide. The game soon began to open up and the visitors brought on Smith to partner Moussa Dembele up front, with McCormack dropping in just behind them. They then came close twice when Grant was forced to save from Luke Garbutt and Smith headed over from eight yards. But Derby made the points safe on 84 minutes as Butterfield played a lovely one-two with Martin before finishing past Lonergan. Darren Bent then hit the bar with almost the last kick of the game but the result made it a sixth clean sheet for the home side, who have now lost just once in their last 18 matches. "They have out-scored what I thought they were capable of at this stage of the season. 47 points is an impressive total, particularly after the start we had. Maybe we have surprised ourselves. I have to be very pleased with that tally. "But on today's game I did not think we played well. They frustrated us and we did not have the rhythm, tempo or fluidity we have seen." "And we had two or three chances to get our noses in front. To concede the goal as we did was poor defending. It was the story of our life with a double deflection. We then had to chase the game and Derby are one of the best counter-attacking sides."